A mechanical keyboard uses physical switches underneath the keys to determine when the user has pushed a key. Press a key, and you press the switch down. Press the switch down, and the keyboard sends a signal to the PC telling it that you pressed that key, simple, reliable and efficient. Most non mechanical keyboards are made up of a set of three plastic membranes, with rubber dome-shaped switches underneath each key. Press a key, and the rubber switch pushes through a hole in the middle membrane to connect the top and bottom membranes, which creates an electrical circuit that causes the keyboard to send a signal to your PC. This keyboard design is cheap and spill-resistant, but it doesn’t give you as much feedback when you press a key, reliability and longevity, which can change the way you type. 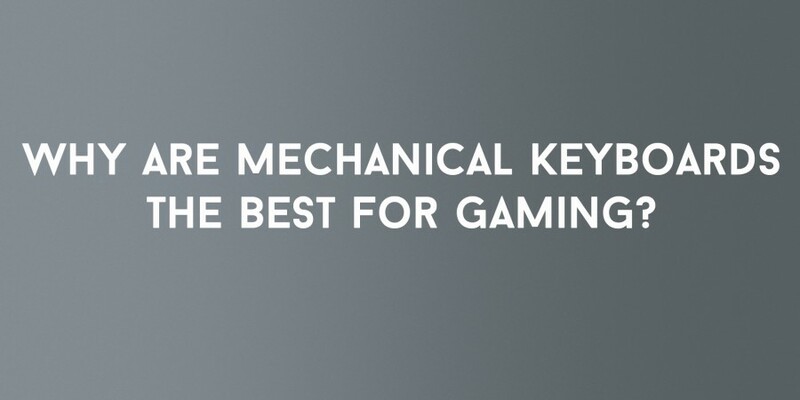 Usually a mechanical keyboard will last a lot longer than a standard keyboard simply because of the build quality. I have personally done some strength testing of keyboards I have had (mainly due to frustrating computer games) and the mechanical keyboard I have at the moment (a SteelSeries 6Gv2) is still going strong whereas previous nonmechanical keyboards have broken, given up or become unresponsive. If you want to go for something a little more extravagant and splash the cash, check out the Ducky Shine range. They’re great keyboards and looks amazing. Mechanical keyboards are great for people who will be doing a lot of typing or using the keyboard consistently for a few hours each day, so not only gamers can benefit from mechanical keyboards but also writers and people who work with computers every day. The only issue with these is that the great feedback you get audibly is a lot louder than the feedback you get form a normal keyboard, but that’s half the fun. The clack and sharp responsiveness from the keyboard you receive is the biggest reason for you to buy a mechanical keyboard; it definitely improves your typing. Some might be dubious of this but it’s really true, if you have a mechanical keyboard and are used to typing on that it feels very crisp compared to the mushy standard keyboard that feels like you aren’t really typing just pressing down on a flimsy piece of rubbery plastic.